The government, he said, is actively promoting Qatar as a regional centre for fintech as new, cost-effective technologies are becoming increasingly prominent worldwide. 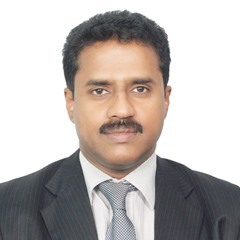 Under the country’s Second Strategic Plan for Financial Sector Regulation 2017-22, fintech has been recognised as a primary tool for achieving long-term development goals for the financial sector, Sheikh Abdulla told Oxford Business Group (OBG). This, the governor noted will require the right regulatory environment, competitive operating costs, government support, funding and a robust financial services sector. “There is strong momentum and new opportunities in Qatar to implement fintech such as digital payments, money management, lending, remittances and investments,” Sheikh Abdulla said. Alongside benefits, these innovations will also create new regulatory and operational challenges. Regulatory obstacles will need to be addressed through creating cross-border synergies in areas like knowledge sharing, investments and remittances. To ensure the safety and security of the domestic banking system, the Qatar Central Bank prohibited trading in bitcoin in February 2018. Asked how QCB would maintain a “stable and robust” financial environment, the governor said, “We have adopted a proactive approach to address local and regional economic challenges. Our objective as a central bank is to focus on exchange rates, prices and financial stability. Therefore, we formulate our policies based on evolving circumstances, implement various prudential requirements and focus on improving communication channels. The QCB implemented International Financial Reporting Standard 9, with effect from January 1, 2018, after studying its impact on the capital ratios of local banks. Domestic economic conditions improved significantly towards the end of 2017; the current account recorded positive growth, while trade surplus grew by 44.8% during 2017. Meanwhile, the global economy continues to improve and oil prices are recovering, which will result in a healthy fiscal balance, Sheikh Abdulla said in his interview with OBG, which has been included in The Report: Qatar 2019. Given these favourable macroeconomic conditions, liquidity and funding structures in the sector have strengthened significantly and banks continue to report stable profitability. In 2017, capital adequacy ratios stood at around 16.8%, while non-performing loans were at 1.6%. Higher capital adequacy levels and quality of assets indicate that the local banking sector is able to withstand severe stress scenarios. Banks were advised to develop contingency plans to meet emerging challenges and stress conditions in consultation with the QCB. Higher growth in domestic deposits and a surplus in primary liquidity reflect a return to normality for the banking sector, which is now well equipped to support the private sector – especially small and medium-sized enterprises – and drive the economy towards self-sufficiency. On the points that need be considered for creating a centralised Shariah committee, he said, “The planned launch of a centralised Shariah committee forms part of the broader, global approach to developing the Islamic financial services industry. In establishing such a framework, some key objectives will need to be considered. Additionally, the committee should implement general principles to regulate and control board activities and auditing functions at Shariah-compliant banks. It should also facilitate arbitration and dispute settlements between Islamic banks and other stakeholders, the QCB governor added. In making the call, Prime Minister Tun Dr Mahathir Mohamad said the application of smart technology within the financial industry – financial technology (fintech) – has positively disrupted the industry, as well as other industries such as mobile payments, money transfers, loans, fundraising and asset management. “However, the potential disruptions to traditional Islamic finance should not be underestimated. 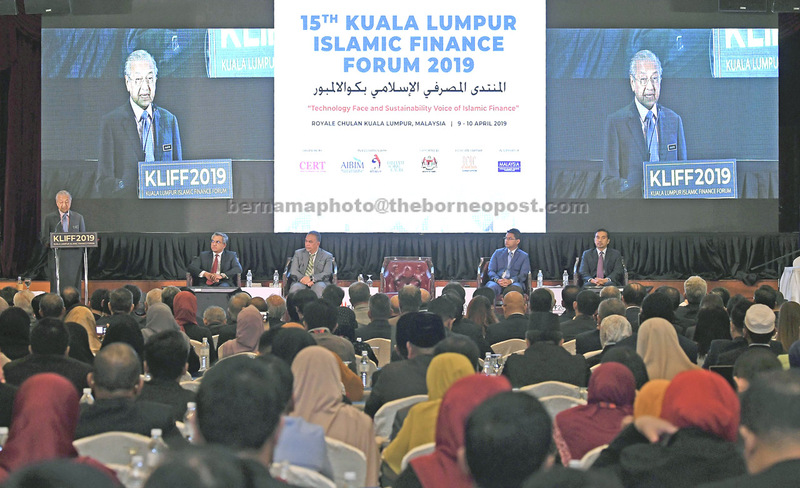 The disruptions can swing both ways,” he said at the 15th Kuala Lumpur Islamic Finance Forum 2019 yesterday. KUALA LUMPUR, April 10 — Islamic banking and finance players must be intensely invested in technologies to transform the way they conduct banking services and disseminate their products more effectively and efficiently. In making the call, Prime Minister Tun Dr Mahathir Mohamad (pix) said the application of smart technology within the financial industry – financial technology (fintech) – has positively disrupted the industry, as well as other industries such as mobile payments, money transfers, loans, fundraising and asset management. Mahathir said the evolutionary pace in the Islamic banking and finance industry has intensified in recent years where concepts of Islamic finance have been incorporated into many financial products to meet the changing needs of consumers, businesses and investors. Mahathir said crowdfunding and peer-to-peer (P2P) financing options from fintech provide solutions for individuals and small and medium enterprises that require financing but do not qualify for financing from traditional Islamic financial institutions. “Elimination of credit intermediaries results in lower prices and/or higher potential returns,“ he elaborated. Mahathir said Malaysia has spearheaded a number of innovative developments in Islamic finance, with the aim to spur the vibrancy of the industry, such as the issuance of the first Sustainable and Responsible Investment Sukuk and Green Sukuk, as well as the launch of the Investment Account Platform.